Wednesday heralds the official start to spring – the vernal equinox. The vernal equinox marks the two moments in the year when the sun is exactly above the equator and day and night are of equal length. Spring signifies new life and, in particular, when flowers really begin to bloom again. Join in the celebrations of spring flora at one of the several shows open to the public. Enjoy the spectacle of the colourful camelia at the Camelia Show, Chiswick House and Gardens. 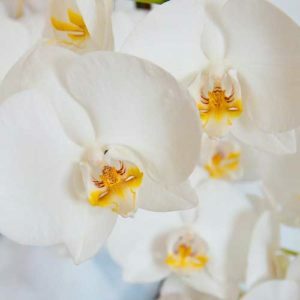 There’s also the RHS Orchid Show & Plant Fair from the 8–10 April. From the 25–28 April you can visit the Harrogate Spring Flower Show. I’m also looking forward to the end of April when local woodlands are flooded with carpets of delicate, perfumed bluebells – a sight that always makes me feel young again. 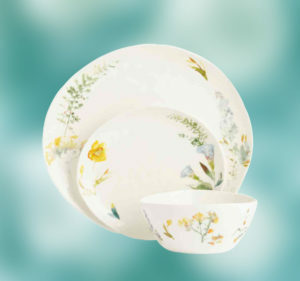 If you love flowers, you will adore this dinnerware set from M&S with its delicate watercolour flowers. Click here for a chance to win in this stunning dinner set. Competition to win a gorgeous spring planter! Win a gorgeous spring planter! We all need a little colour in our lives. You could win this glorious spring planter to brighten up your doorstep, patio or balcony with this vibrant spring planter. Just click below to enter. Hand-crafted in the Denby Pottery from high quality, locally-sourced clay and is expertly glazed to prevent chipping and enhance durability. The tableware is oven, microwave, dishwasher and freezer safe. 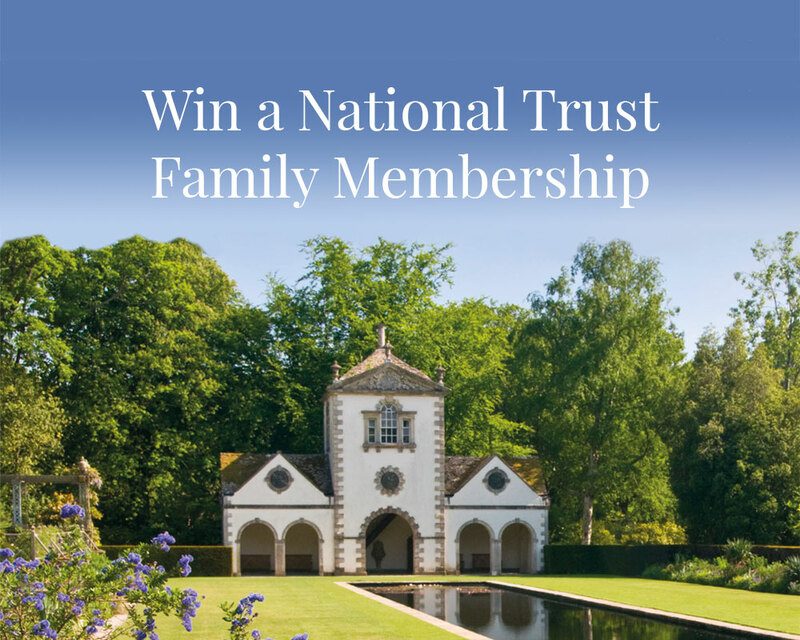 Enjoy free access to more than 500 places with National Trust membership. Explore over 500 special places across England, Wales and Northern Ireland. A quick and easy Café Noisette recipe taken from the Dairy Diary. A must for coffee lovers. Whizz up any drink with ease with your very own Nutribullet – the must-have for every kitchen (as well as a Dairy Diary of course). Click here for your chance to win. This Habor Multifunction Blender Set comes with an immersion blender, a chopper and a whisk to meet your different needs to bring health benefits to your family.